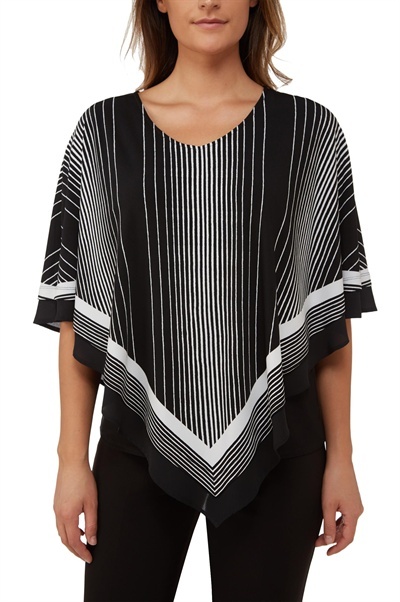 This two layer poncho is a new release in the TANJAY Black White collection. This flattering two-layer Poncho top has a fitted knit jersey under layer with a flowing Microfine jersey over layer that drapes softly over the arms. The linear striping elongates the silhouette and overflows with elegance. Wear yours from day to dusk, at the office or out to that important event.